Milka is from Germany and from what I’ve heard, it’s found everywhere there. It sounds like it would be the equivalent of Hershey’s in the U.S. I wish Milka were that common here! I have to be very honest… I’m not a fan of Hershey’s. Go ahead, throw stones or whatever and get angry those of you who strongly stand by Hershey’s. It tastes dry and looks waxy to me. How could I enjoy something that I do not enjoy? 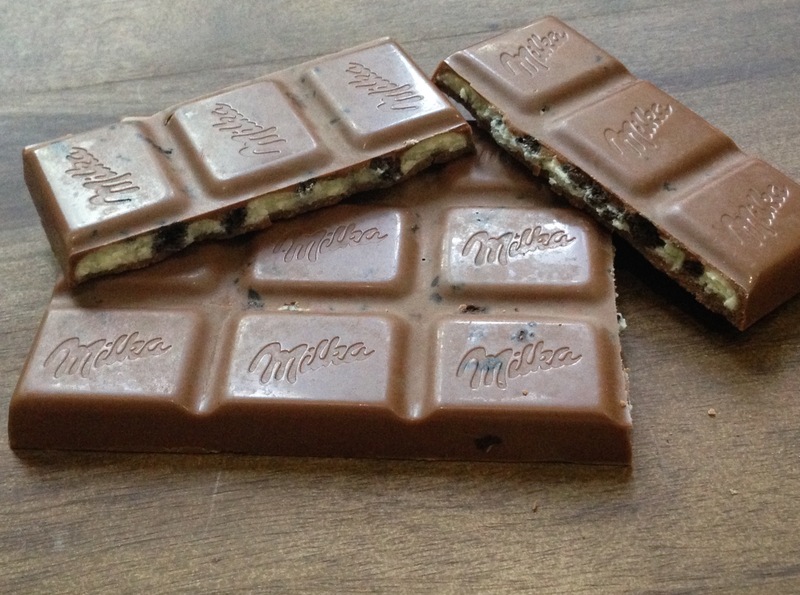 Milka tastes creamy, and I’d rather be tasting that rather than something that is dry. Alpine milk, hazelnut, strawberry, and biscuit. I usually grab my Milka bars from World Market, For the Love of Chocolate (my favorite chocolate store in Richmond, VA), or Wegmans. The bar I tend to grab is either the Alpine milk or hazelnut whenever I’m having a craving for milk chocolate. But if if I find strawberry, I HAVE it. Strawberry is rare for some reason! The biscuit bar reminds me of the Ritter Sport milk chocolate bar with their large sized biscuit inside (I’ll get to Ritter Sport chocolate in another post). 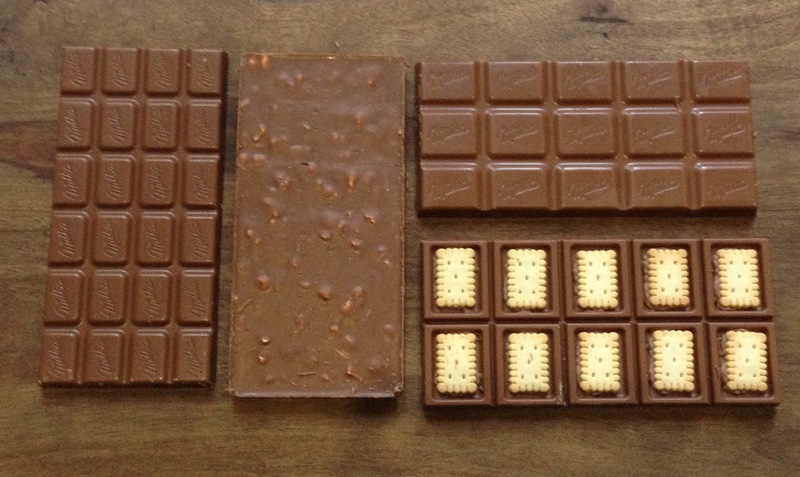 The biscuit pieces seem harder in consistency in the Milka bars, but I’m wondering if that’s because they are much smaller in size compared to the huge one in Ritter Sport. Going back to the strawberry bar, I really like munching on the small strawberry bits on the inside. Maybe I tend to appreciate the strawberry bar more because this specific Milka bar is harder for me to find. 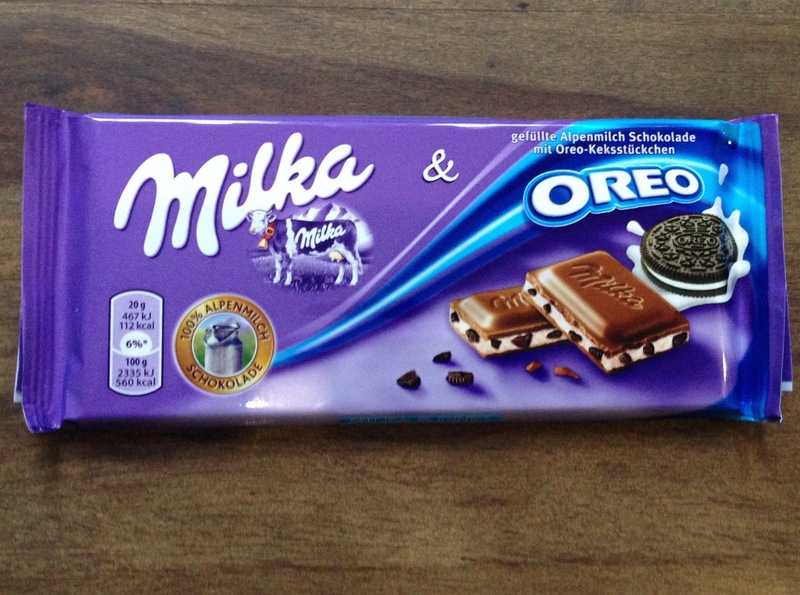 One that I HAVE to mention is the Oreo Milka bar. This… this was a treasure to find! The texture of the crunchy bits of Oreo inside made this bar immediately addictive 🙂 The white creamy filling reminds me of the frosting in Oreos. I’ve only found this bar at Wegmans so far. I wish it were available elsewhere! 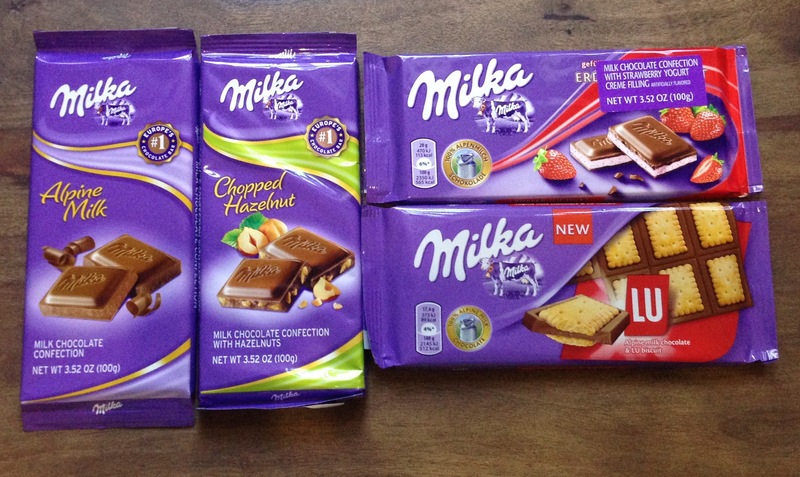 There are other flavors of Milka bars out there. I have seen a caramel one and dark chocolate, but I have yet to try them. I’ll have to include them in another post when I get around to eating them. 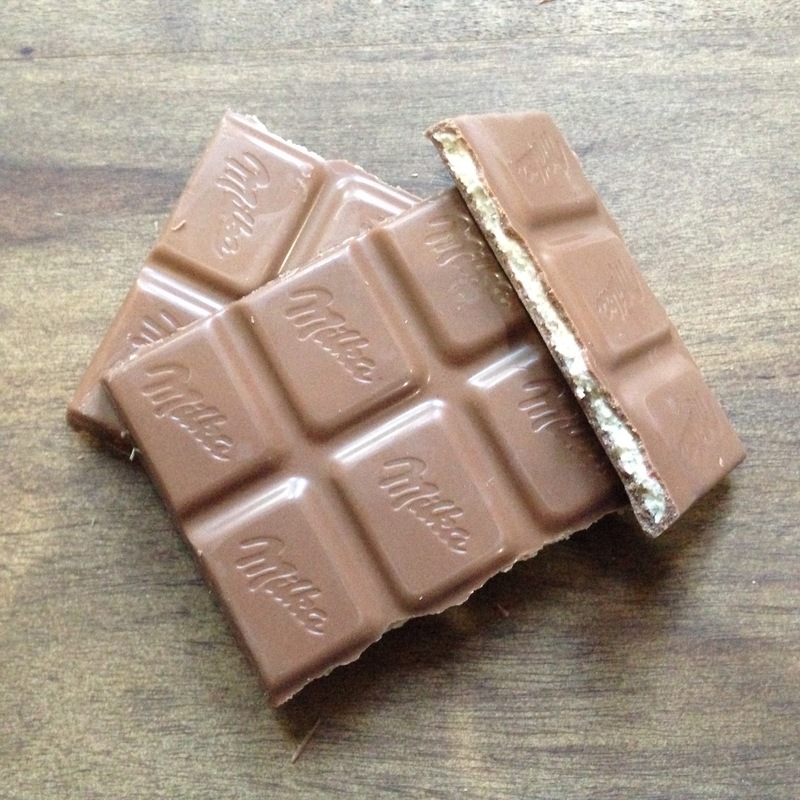 Previous Previous post: Toblerone… and the first post!